Besides playing, the best part of the tabletop hobby: modelling. But only with the right tools you can achieve the desired result without difficulies. 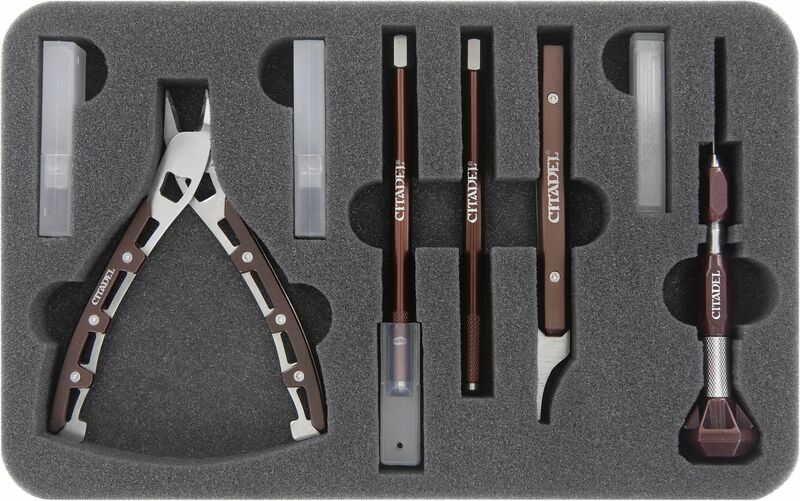 To make sure that you always keep your instruments orderly and neat, we have this practical insert for you. It was especially designed for Citadel's modelling tools. Here everything you need to assemble and modify your miniatures gets its own place. There is also a compartment for storing the boxes with the spare knife blades, the saw blades and the drill bits. Each piece lies safe in its compartment and stays there until you need it again. 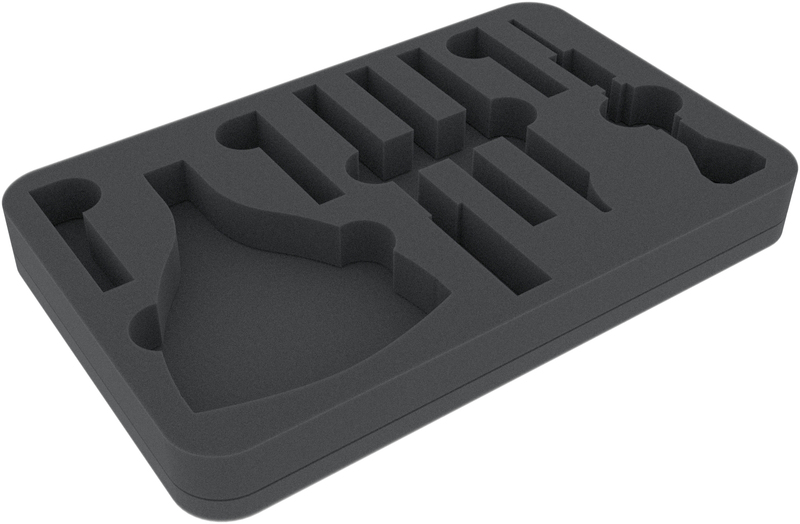 The flat, lightweight foam mat is therefore the ideal insert for your modelling case. The rotary knob of the Citadel Drill is a little (approx. 4 mm) higher than the insert. This Half-Size foam has the dimensions: 275 mm x 172 mm x 30 mm total height (20 mm usable + 10 mm foam base).